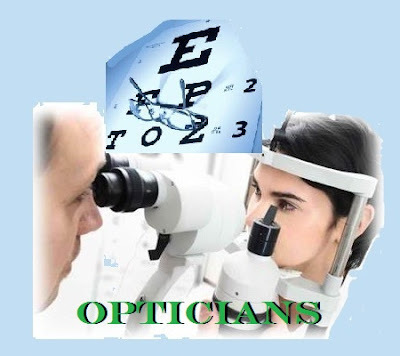 Opticians fit clients with prescription eyeglasses or contact lenses, assist clients in the selection of eyeglass frames, arrange for the production of eyeglasses or contact lenses and mount lenses in eyeglass frames. Opticians are the kind of medical professionals that I see at least once a year. They are the ones who help farsighted or nearsighted people see better and at the same time look better. Opticians themselves need an eye for what frame or eyeglasses would enhance the facial features of their clients. They are employed in optical retail outlets or other establishments with optical dispensing departments, or they may be self-employed. A 2-3 years college program in ophthalmic dispensing, apprenticeship and licensing can greatly help an optician in his/her career.